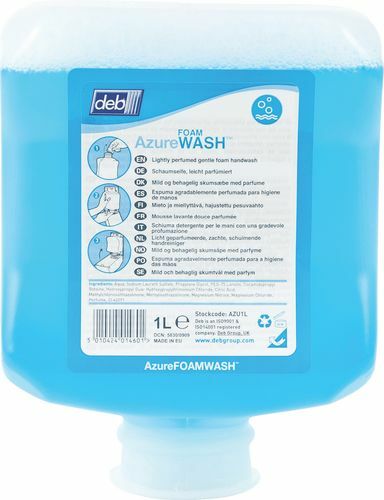 This Azure wash is a luxury foaming soap cartridges from DEB. The Azure Wash soap is instant foaming, luxury soap. Which is suitable for frequent washing with a quality blend of cleansing and conditioning agents that will leave your skin feeling soft and supple.